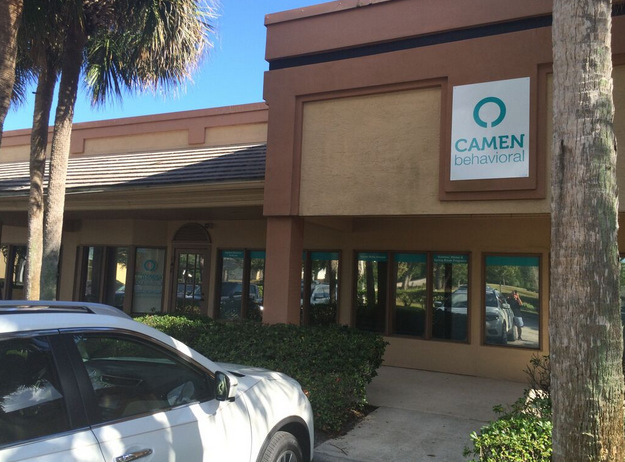 Signage Makeover for Camen Behavioral Services in Casselberry FL! When you move your organization into a new venue, you have the perfect opportunity to start anew with your interior design. This includes making sure that the signage throughout your location is consistent and features your brand. Camen Behavioral Services realized this and contacted Citrus Sign Studio for interior signs and graphics for therapy and counseling centers in Casselberry, FL. 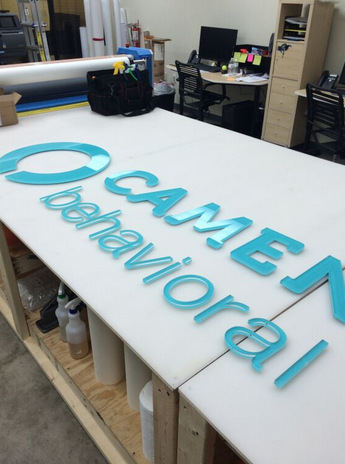 What Is Camen Behavioral Services? 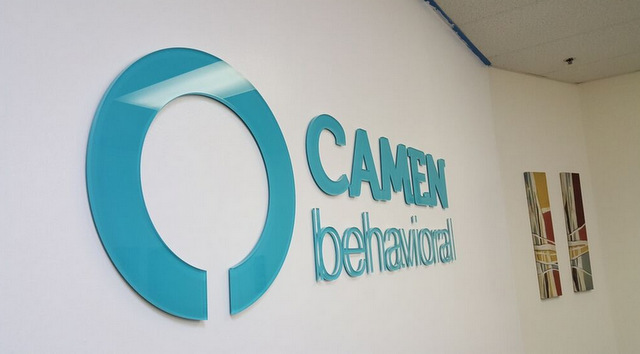 Located on Wilshire Boulevard in Casselberry, it is Camen Behavioral Services’ mission to offer top-quality personalized behavior analysis on a preventative or as-needed basis. They are a full-service applied behavior analysis practice. Among the services they provide for children are social and vocational skills, camps, verbal behavior training, and much more. Building sign and window graphics! When an organization that provides such valuable services to our area’s most vulnerable population came to us for exterior signs for counseling offices in Casselberry, FL, we were more than happy to help out. Camen recently moved to a new location, and they wanted to have consistent branding throughout their new venue. Fortunately, they contacted the right sign company! A new tenant panel insert for the pylon sign! Lobby Sign – For this, we used glossy acrylic dimensional letters that were routed to match the font Camen uses on their other marketing materials. We were also able to precisely match their company colors and logo. Window Graphics – Again, we captured their custom branding. This time, we did it with cut vinyl lettering. We installed this along with their contact information near their main entrance to show clients where to go. Building Sign – For the sign we mounted directly to the façade of their building, we used a simple yet durable panel sign featuring their logo. 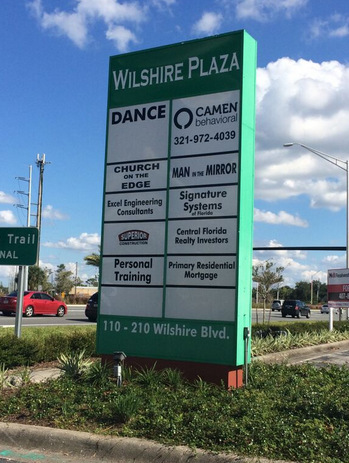 Pylon Sign – The complex that Camen is a part of, Wilshire Plaza, already had a pylon sign along a busy road. The property manager only allowed certain colors to be used for the tenant names, so we produced a black and white version of their logo and included their phone number. Are you moving to a new place soon and require a signage makeover? Want to get started off on the right foot? We can make sure that you have all of the right signage in place before your grand opening. To get started today, contact our friendly professionals for a free consultation.